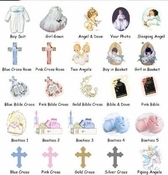 A Christening or Baptism is such a special occasion, why not have a special party favor that your guests will think is just as special. Christening/Baptism Hot Apple Cider Cone Favors will surely warm their hearts. Nothing beats a mug of hot apple cider on a cold autumn or winter day. 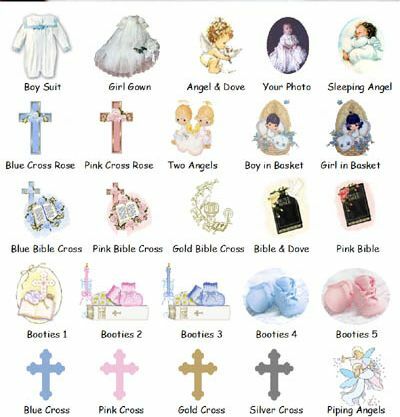 Perfect addition to your Christening or Baptism celebration! Our Christening and Baptism Apple Cider Cone favors are individually made to order so you can be assured of a fresh batch created just for your special day. This creatively packaged delight is deliciously SWEET and a wonderful way to thank your guests for sharing your special day! Indulge them with a welcome treat of apple cider accented with marshmallow, and cinnamon chip toppings! Each time they take a sip of this delightful treat, they will be filled with the warmest memories of your special day. Once only a traditional winter beverage, our favors are designed to be enjoyed all year round and perfect to celebrate any special occasion! 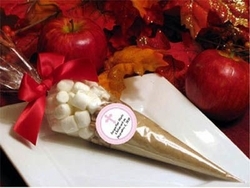 Our Apple Cider Cone Favors are Personalized with your child's name and Christening or Baptism date. Satin bows included FREE! If you would like to add a photo, please email us the photo after you place your order.